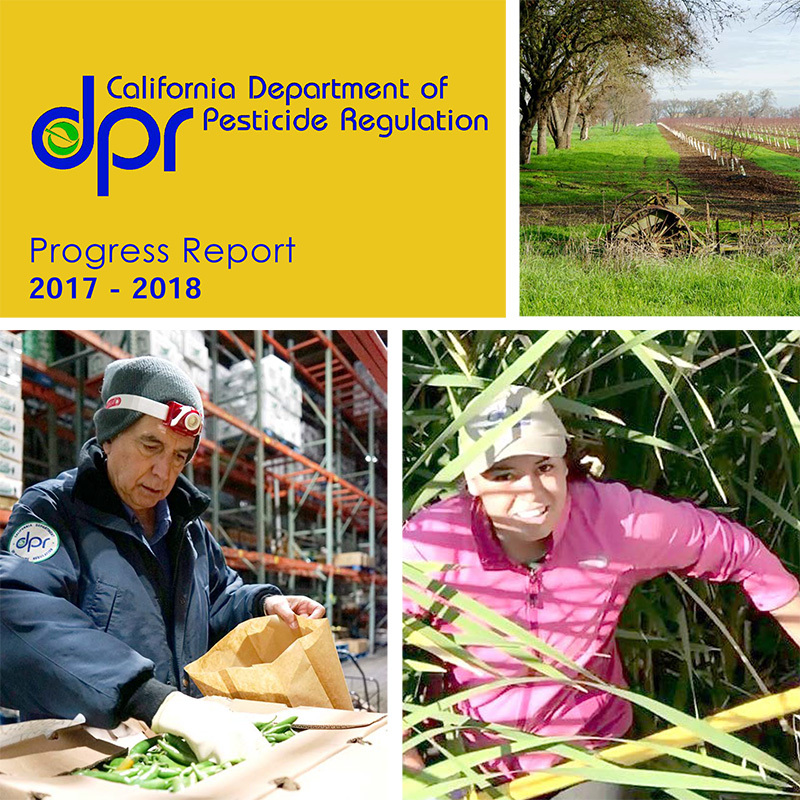 The California Department of Pesticide Regulation’s 2017-18 Progress Report summarizes the department’s major recent accomplishments and highlights, and is now available. To view the report online or download as a single PDF file, please go to: https://www.cdpr.ca.gov/docs/dept/progrpt/2017_18/report2017-18.pdf The Department of Pesticide Regulation (DPR) regulates pesticide sales and use, and fosters reduced risk pest management. DPR’s work includes product evaluation and registration, environmental monitoring, residue testing of fresh produce, and statewide licensing of commercial applicators, dealers and advisers. DPR provides oversight of the local pesticide enforcement programs of all 55 county agricultural commissioners and their combined staffs of approximately 400 biologists.